triggered by a video camera that analyzes pictures of the water. Telecommunications Program or ITP); I found out about it as I'm in a residency now with Liubo at Dance Theater Workshop here in New York. 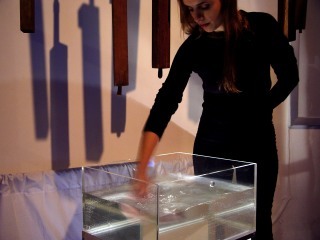 liquid interfaces create new musical sounds.